Philanthropy is making a comeback. Well, it was never really “out” per say, but for a few years it seems it had become somewhat of an obscure idea only being observed by those with great names in their twilight years. Names like: Carnegie, Vanderbilt, and Rockefeller, were of the more common older business names known to share their great wealth. Philanthropy, while superficially selfless, has long been an act that ensured one's name would become a legacy, and the big names in philanthropy are certainly carved in granite. Those are names that, generations later, will still carry a certain gravitas that only comes with time, power, and age. Today, however, there seems to be a new, younger - dare we say cooler? - kind of philanthropist emerging within our society that seems determined to change our perspective of what it means to be a philanthropist. With ever-younger entrepreneurs making ever-increasing money in the tech generation, the face of philanthropy is changing. But regardless of the age, generation, or pedigree of the philanthropist, charitable giving holds a timeless aspect. Philanthropy will always represent the uncommonly wealthy, with their charitable gestures announcing to the public that not only have the conquered the business world, they've remained humble and care about supporting their fellow man. The cynical among us might have a thing or two to say about that, but the fact remains that hard cash for those in hard times is an objectively positive thing - and the 10 high-profile philanthropists on our list have made an undeniable difference to people in need. Munger is a U.S. business man and investor; most notably, he's chairman of the Berkshire Hathaway Corporation. Charlie Munger’s $110 million gift of securities to the University of Michigan in April 2013 is one of the single largest donations the university has received in its 196-year history. This large contribution aims to support Munger’s vision of a new residence, designed to cater to and nurture a community of graduate students from multiple disciplines, by providing living quarters where these students can come together and exchange ideas. The proposed building would house over 600 occupants: a massive building for a massive benefaction. The building is planned to be named honoring Munger, who himself is a U-M alumnus. Stanford University is no stranger to large donations, however, Silicon Valley’s real estate mogul, John Arrillaga, made headlines when he gave the largest donation Stanford has ever received from a living donor. In the 1950’s, Arrillaga attended Stanford and found himself working six part-time jobs to pay his tuition. Now, as the rich alum that he is, he has decided to put this donation towards helping current students through their college journey. Arrillaga has previously made donations to Stanford that went towards a number of buildings, and scholarships to support 50 students. Muriel Block has long been a supporter of the Albert Einstein College of Medicine. Her name, along with her husband's, adorns the entrance of the college’s research facility - the Michael F. Price Center for Genetic and Translational Medicine/Harold and Muriel Block Research Pavilion. The state-of-the-art building opened in 2008 and Muriel has not only donated to research at Einstein College for decades, but she was an active participant in its community and regularly attended sponsored events. In 2010, at the time of Muriel’s death, she was considered one of Einstein’s most benevolent contributors. Her support has no undoubtedly helped Einstein’s growth and development throughout the years, and as one last grand gesture Muriel named Einstein the beneficiary of her estate. The bequest, officialised in 2013, was one of the largest single philanthropic donations in the world last year. While Munger’s $110 million donation to U of M was significant and extraordinary, Stephen Ross seems to have swooped the title of top single contribution to University of Michigan of all time. It also makes him the third largest donor to ever contribute to a business school in the United States. This $200 million donation, announced in September 2013, will go towards the university's Ross School of Business, and U of M's athletics programme. Real estate tycoon Ross's donation reportedly brings his total contributions to his old university to an incredible $313 million. Michael Bloomberg’s donation of $350 million to the John Hopkins University is, unsurprisingly, the largest single donation the university has ever received. With this donation Bloomberg’s lifetime giving reaches $1 billion. This gift will be provided in a number of ways. First, 2,600 scholarships will be awarded over the span of 10 years. Second, the majority of the gift, $250 million, will be aimed at an initiative to bring major innovation to U.S. higher education. Last, but by no means least $100 million will be given in need-based financial aid, to be made available to talented, driven undergraduates. Phil Knight, a founder and Chairman of Nike Inc., earns the number two spot on the largest philanthropic donations list with their $500 million gift to the Oregon Health and Science University Foundation. This huge commitment from Nike’s chairman has stipulated a condition though: The university must match the amount of the donation within the time frame of two years in order to receive the total sum of the money. The donation, given for Cancer Research, was inspired by the university’s own Dr. Brian Druker - whose research has proven that a drug called Gleevec could shut down certain cancer cells without harming healthy cells. Dr. Duker’s goal now is to find a faster way to detect cancer before it becomes terminal. If future research by the university is successful, this donation may be the best example of smart spending the world has ever seen. 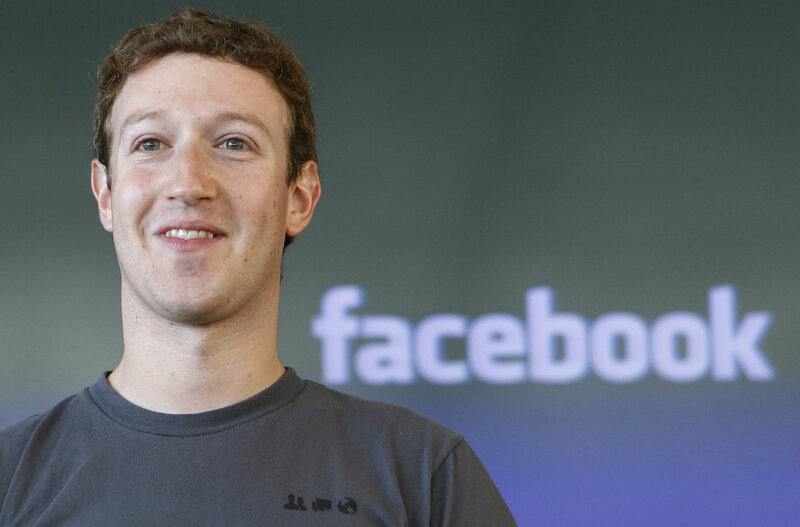 The largest donation comes from the youngest philanthropist, CEO of Facebook Mark Zuckerberg. We wouldn't want to veer from our record breaking theme in the number one spot now would we? This hoodie-wearing 29-year-old’s nearly $1 billion donation makes his wife and him the youngest philanthropists to contribute so much to a sole recipient. Mark Zuckerberg and Priscilla Chan's donation came in the form of Facebook shares, 18 to be exact. They made the same donation last year - however, the stocks were at half the value then. The donation recipient, Silicon Valley Community Foundation, will put the sizable gift to work in areas such as education, regional planning, immigrant programs, and various other community needs in Northern California.